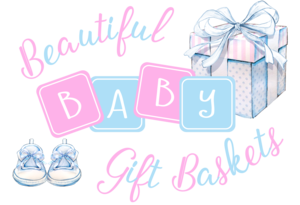 Beautiful Baby Gift Baskets is a small friendly business creating gorgeous baby gifts to celebrate the birth of a new baby. 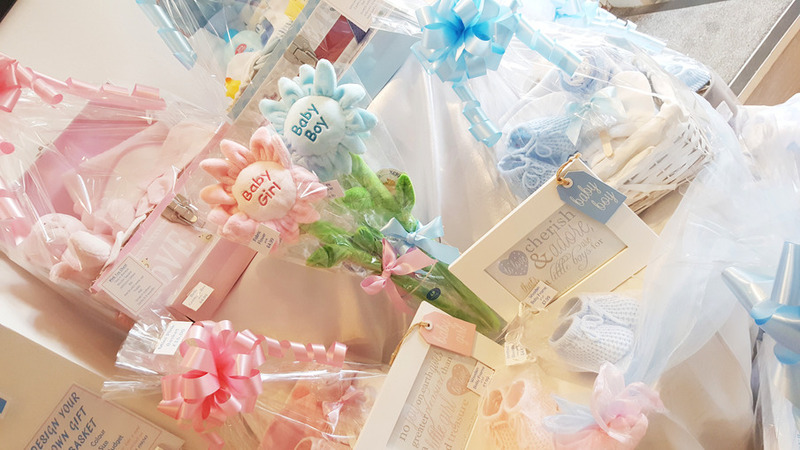 We have been designing and making our baby gift baskets and hand delivering them within the local Bedford area since 2014. We are very happy to say that most of our business comes from recommendations. 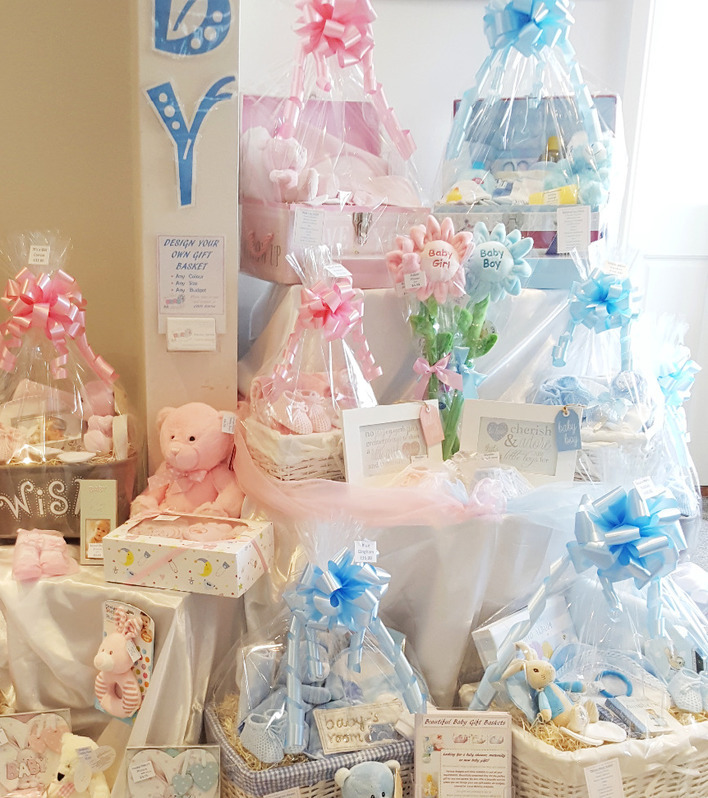 You can also purchase from our range of baby gifts at our stand in The Millers Market at The Olde Watermill in Barton Le Clay. Over the years we have added to our range due to the demand at events and shows that we attend. 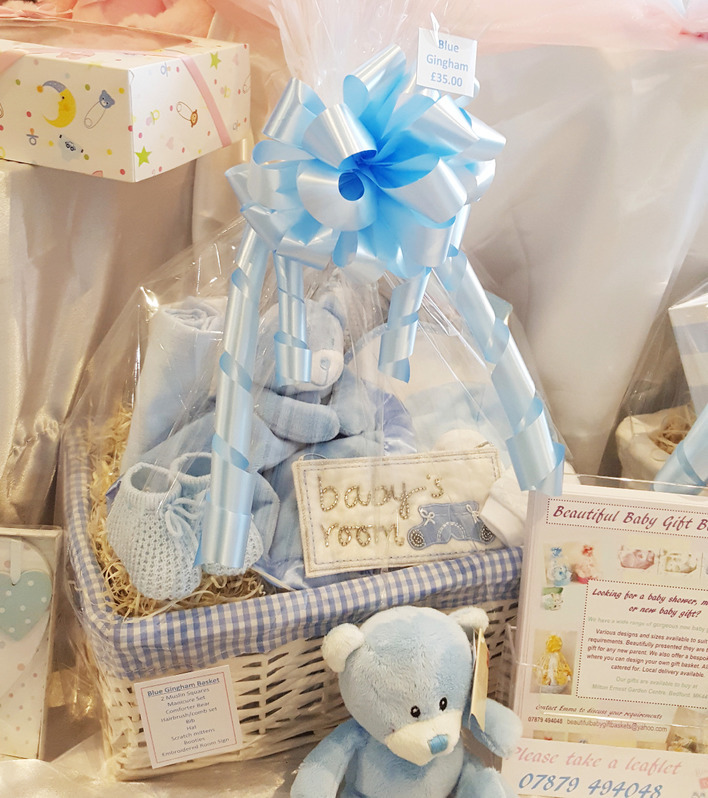 This means that as well as our beautiful gift baskets you can now buy a wide range of individual baby items from our online shop. Over the years we have added to our range due to the demand at events and shows that we attend. 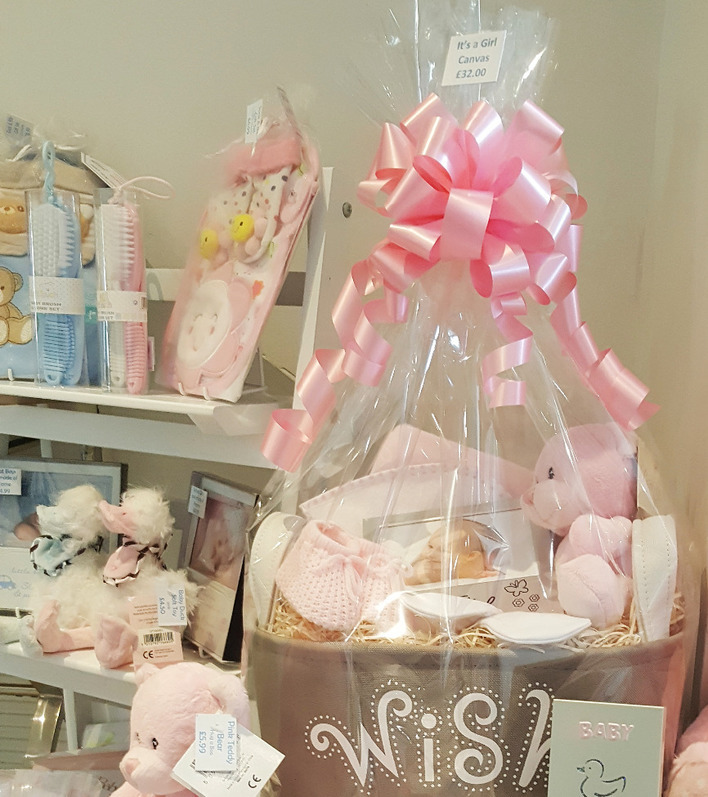 This means that as well as our beautiful gift baskets you can now buy a range of individual baby items from our online shop. Unfortunately we are unable to send our gift baskets in the post. 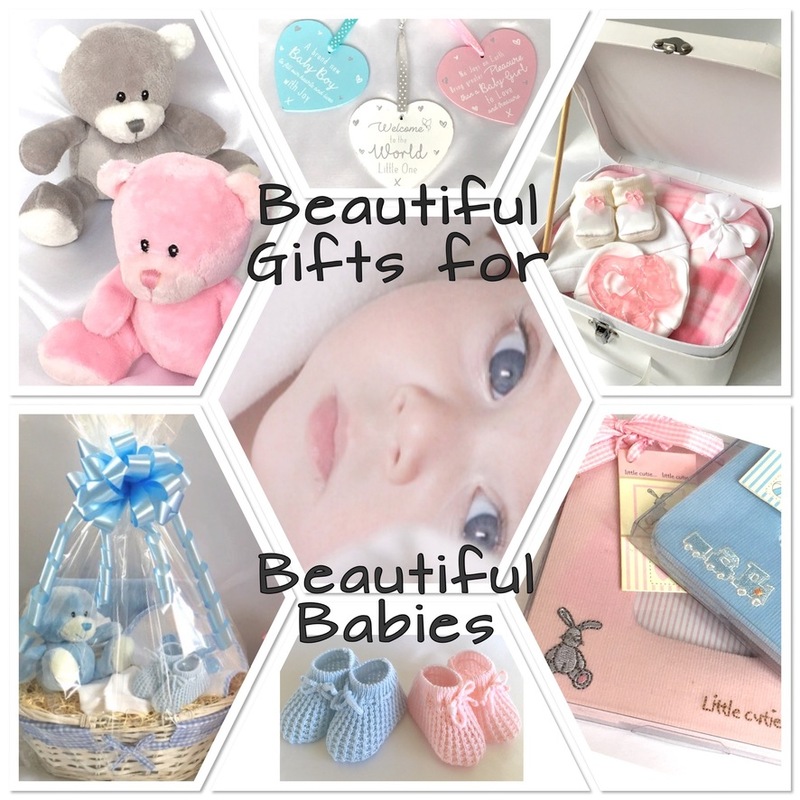 If you are not within our local delivery area, we can send them to you in kit form. 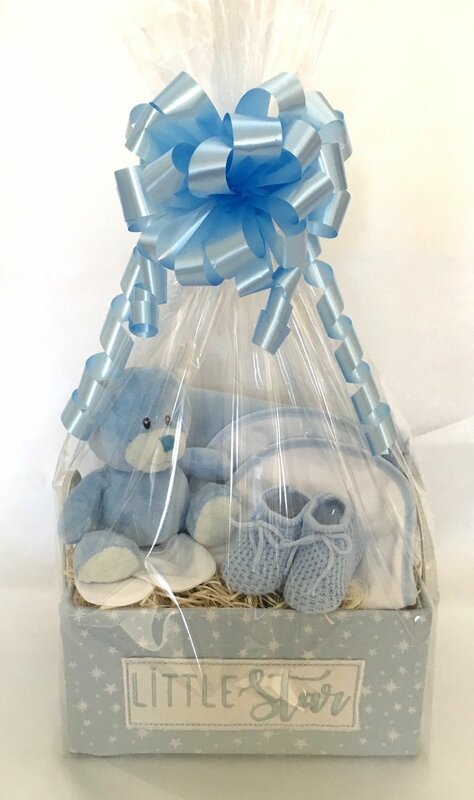 Your kit would include the basket with all the contents arranged inside, cellophane that is cut to size, pre-made bow and full instructions on how to assemble. If you are interested in this option please contact us 07879 494048 or email us. If you have any questions or require further information please get in touch. We try to show our products with accurate and clear photographic images. Exact colours however can vary due to factors such as lighting and computer monitor settings. Please bear this in mind when viewing. 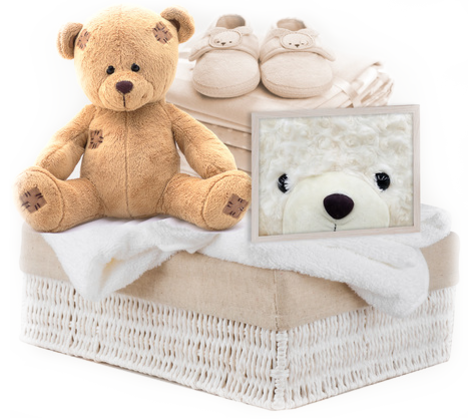 Whilst every effort is made to reproduce the gift baskets as shown in the images occasionally it may be necessary to substitute individual items for similar but alternative products. Where this is necessary they will be of equal or greater value.